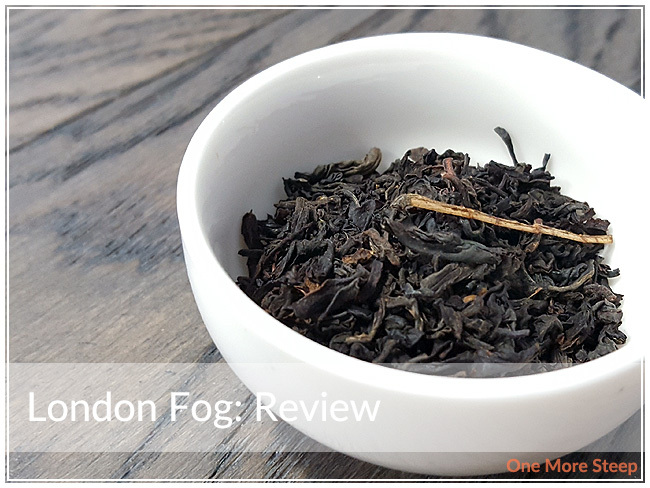 Lemon Lily’s London Fog came to me as part of The Sugared Teacup’s April themed subscription box. 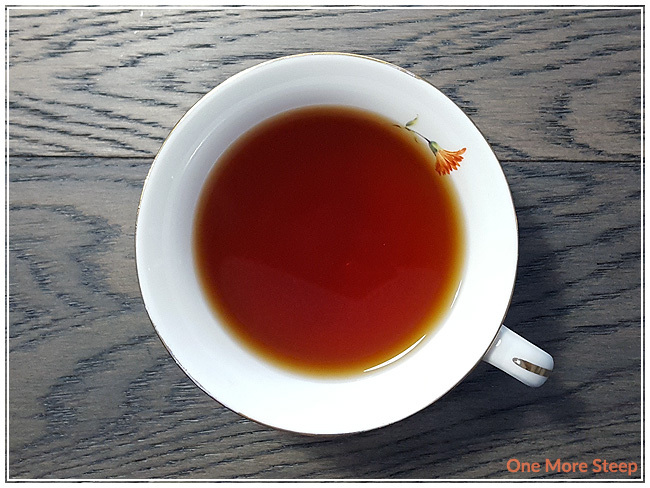 Lemon Lily’s London Fog came to me via The Sugared Tea Cup’s April themed subscription box (late spoilers: it was all things British in preparation for the Royal Wedding last month!). I can definitely smell the bergamot, it’s very strong and overwhelms the vanilla. I can see the pieces of vanilla bean, but smelling it is a whole other story. 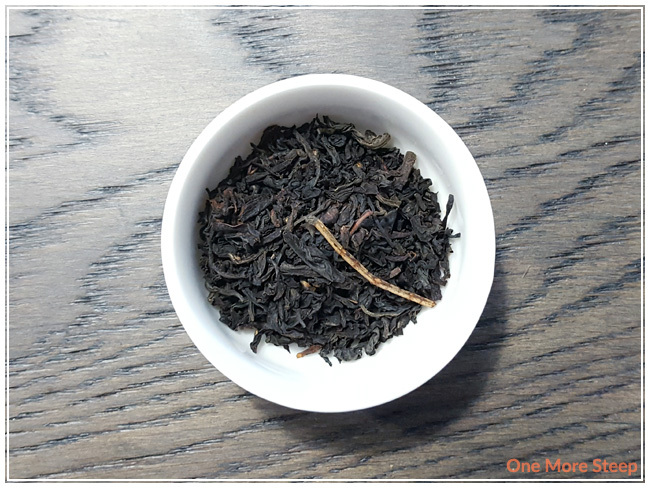 The black tea has some long, wiry leaves in it which is nice to see – I can’t smell them though since the bergamot is a force to be reckoned with. London Fog consists of: black tea, vanilla bean, and natural bergamot – all organic ingredients. 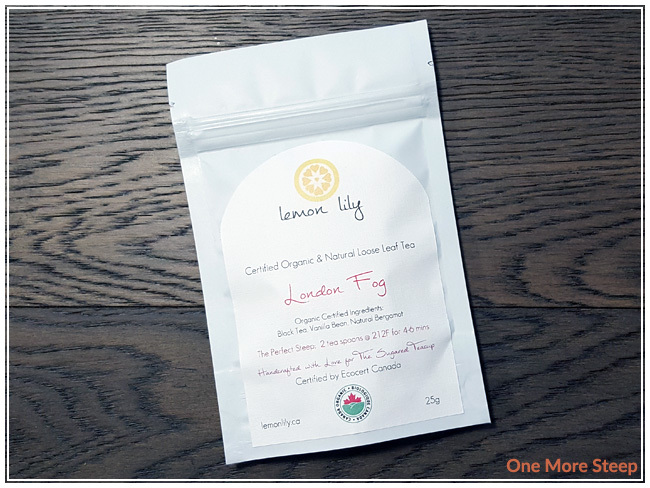 Lemon Lily recommends steeping London Fog in 100°C (212°F) water for 4 to 6 minutes. My initial steep of London Fog was for 5 minutes. London Fog steeps to a deep reddish-brown colour. There’s a very mild vanilla aroma to it, with the bergamot being very much present (much like it was in the dry leaf). There’s a mild astringency to London Fog when I drink it, causing a little bit of a mouth pucker. I found there was a light vanilla flavour, with a slight creaminess behind each sip. The bergamot flavour is very present, with a bright citrus flavour throughout. Given its name, I did try London Fog with a bit of sweetener (I used locally harvested honey) and evaporated milk. I found that the vanilla flavour to be more present once the bergamot had been tempered down. I resteeped London Fog twice, adding an extra 30 seconds for each subsequent steep. 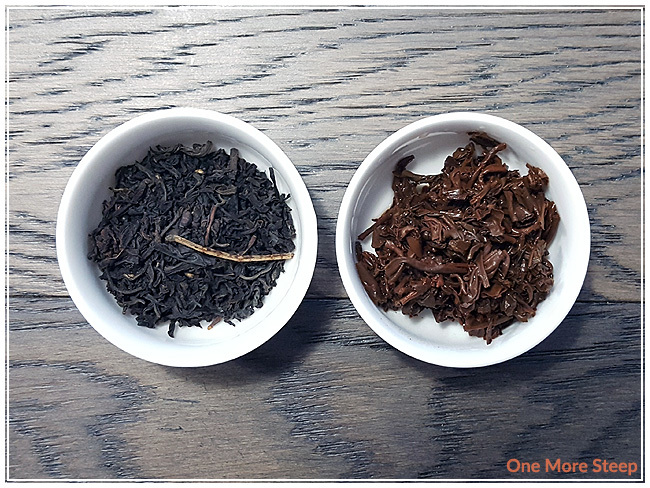 I found that the first resteep was very much like the initial steep, while the second had no vanilla flavour that I could find. I would say that London Fog is good for a least one more steep. I liked Lemon Lily’s London Fog. I think it’s really great with some extra sweetener and milk. I found, for me, the bergamot was quite powerful and it was overwhelming the more gentler flavour of the vanilla bean and I would have liked for the vanilla to be more present. I think if the flavours had been a bit better balanced, I would have enjoyed it a lot more.